The One Room Challenge was started by Linda from Calling it Home. It’s made up of twenty designers and/or design bloggers “challenged” to redo a room in just six weeks. Renovating can be stressful. Also stressful? Moving. If you’re new here, we’re moving from Westchester, New York to near by Connecticut (hopefully) at the end of this month. By “we”, I mean, myself and Mr. Zhush and our three kids. When we move depends on the timing of our new home’s renovation. So, why not document this whole tense situation here? Seemed like a fun idea back in July, now I’m really just hoping this whole thing comes together before Thanksgiving! 1. The lights above the island are far too small, I love my current island lights, the scale is perfect, they are coming with me. 2. Black granite counter tops are going. 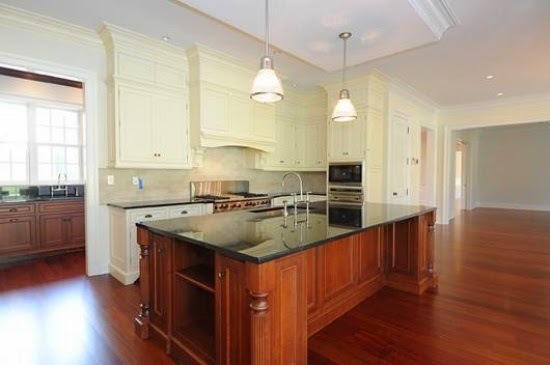 I love the look of our white marble counters, I’m hoping to find something just as nice. 3. Speaking of white, my preference for kitchens is always all white, just like our current kitchen. I know from past experiences (here and here) that these yellowish/cream cabinets will look amazing once they are re-painted all white. a. The same holds true for that dark center island-painting it white. b. And losing the heavy look of those center island “legs”. 4. That back splash is going too. 5. There are currently two fridges in this kitchen-actually one is a giant freezer and one is a fridge. Right now they are made to look like two giant cabinets. I love the industrial look that stainless steel brings to a kitchen, so I’m hoping to switch out those doors for stainless steel ones. 6. The floors here (and in the whole house) currently have a reddish hue to them. We’ll be staining them a deep dark brown. 7. 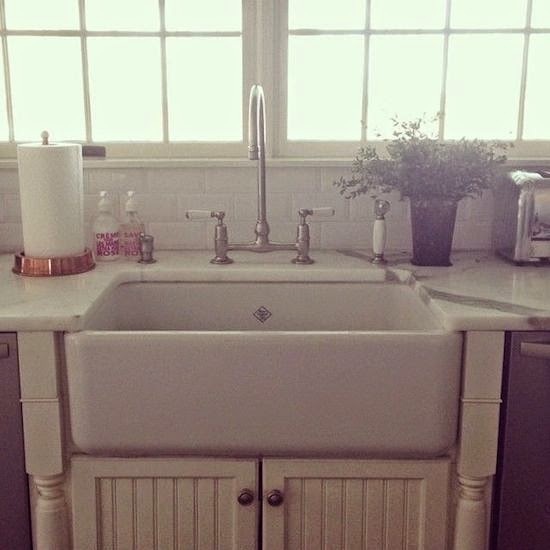 I would love to have a farm house sink just like our current one above. Hoping to make this happen. 8. We’ll be moving around a few things. Boring things that you can’t really see in the photos, but for real life living don’t make a lot of sense. Expanding the little built in garbage to two pails instead of one. Moving the second dishwasher from the butler’s pantry to the kitchen. 9. Painting the walls a complimentary color. Probably a pale greige/gray. 10. Changing the hardware…thinking unlacquered brass. 11. Changing the glass cabinet doors to look a bit more modern. 12. Losing the light in the “breakfast” area of the kitchen, bringing our current fixture with me here as well. 13. And, finally, I’m hoping to add a “hot water” faucet. The idea of boiling water on tap seems very luxurious. Hope to make that happen. Here’s a few more shots from my current kitchen (including one of my favorite shots from our feature in HGTV Magazine two years ago.) 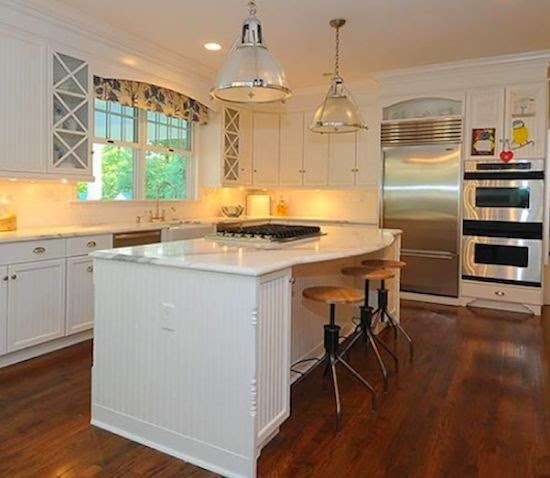 This will be the main inspiration for our Connecticut kitchen. I’ve brought back Muse Interiors to help me source and sort this kitchen out-and the whole new house in general (check it out on Instagram)…beyond thankful for that! Be sure to check out the rest of the One Room Challenge participants- I know many of these ladies in real life and some I’ve been following for years-trust me, you’ll want to see their rooms and their designs! I wish I could find something wrong with the new kitchen but I cant! yet I know that you have a vision in your head so I cant wait to see the transformation from really great to your idea! Great room to start with this should be a fun one!! This is gonna be good! Nothing like a kitchen reno in 6 weeks…..I bow down! Oh wao!! This is a big one! I can see where you are going with this and it will be so, so fabulous! I'm so excited to follow along!! That is a huge project, but I'm sure you'll make it marvelous! Can't wait to see your progress! Kitchens! That's a mammoth challenge lady but I suspect it'll be kinda fab. Can't wait. You are going to love having instant hot water. It's the one thing I miss the most from my old house. We will definitely be adding it to our new kitchen soon! Wow, a kitchen renovation! I love your ideas for the space. Looking forward to see the transformation! holy cow, woman! You are brave! and I'm so excited to see this space transform! I'm thrilled that you're in the ORC this time. I'm in as a linking participant tomorrow! Huge kitchen! Can't wait to see what you do! Your new home is gorgeous Sue. I know the changes you have planned to take it to the next level – or two or three. 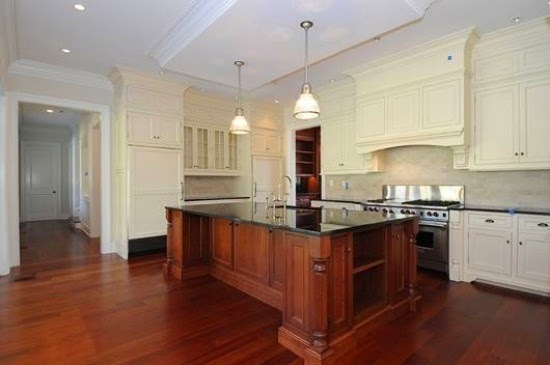 Holy geeze…that is a big beautiful kitchen that has such fabulous bones! I love every single to-do on your list and think your plan is going to make an already pretty kitchen, totally amazing! I can't wait to see it all happen! Oh my. This is going to be BEAUTIFUL!! I love an all white kitchen — this will be so much fun to watch! Where's the before kitchen? Ha! Can't wait to see how this gets EVEN better. First of all the new kitchen is huge…and beautiful already! You really have quite a list there and I can't wait to see how it turns out. I will be watching closely because I have been planning our kitchen renovation (in my head) for awhile now! Can't wait to see this one! I might be purchasing a house today (fingers crossed!) and the kitchen is something I will tackle. Currently obsessing over kitchen renovations! I love your new kitchen. 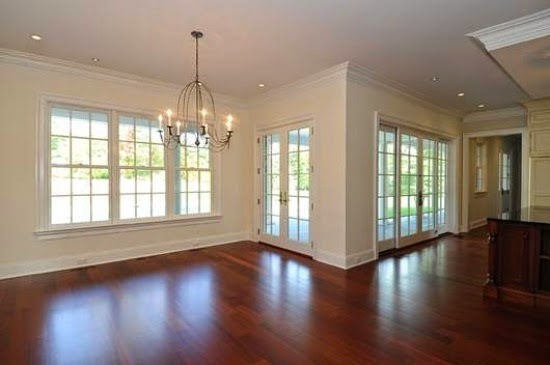 I understand about all white, but what a great space, already. You look so cute in that picture. Can't wait to see what stone you pick for the tops. Love the open space and that huge island! I can't wait to see what you do 🙂 I know it'll be amazing. Oh wow, this is going to be incredible!! Super excited to see the changes you make! No doubt it will be a dream kitchen in the end! 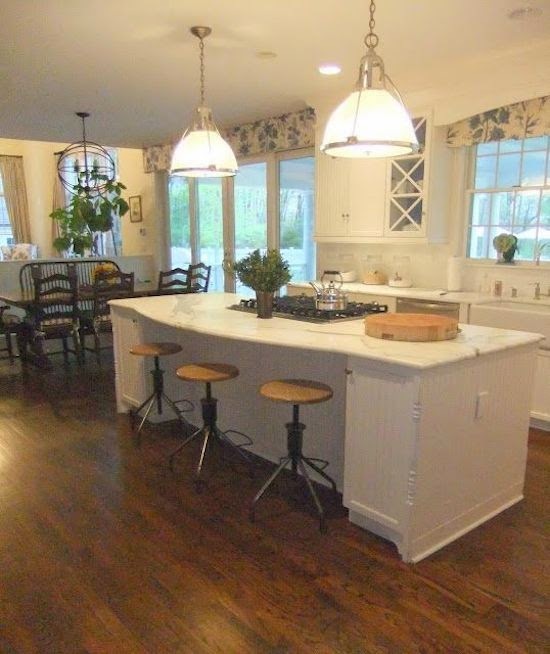 I LOVE this open kitchen with that beautiful island! Your new house is beautiful! Can't wait to watch your progress! I love the kitchen in your old (current) home… so cozy! Sounds like you have quite the list there. Looking forward to seeing the transformation. I have a feeling that your end project is going to be my dream kitchen! I can't even imagine having a kitchen that big! Can't wait to see what you do – just love the inspiration images. We too are doing an all white kitchen – excited!! Hi Sue. Is it bad that I have been WAITING for you to show your new kitchen, and your plans for it? Demolition on my kitchen starts this weekend. I can only hope that it will be finished in 6 weeks… Keep the photos of your renovation coming. I love them! Wow! What a grand kitchen, I would have a hard time renovating something so beautiful already, but I know what you mean, and I can't wait to see how you'll update this space further! That kitchen is huge! It's already beautiful but I think your plans will take it to the next level. Your dream kitchen is my dream kitchen…I will always love the white/stainless/marble/farm sink look…my favorite!! 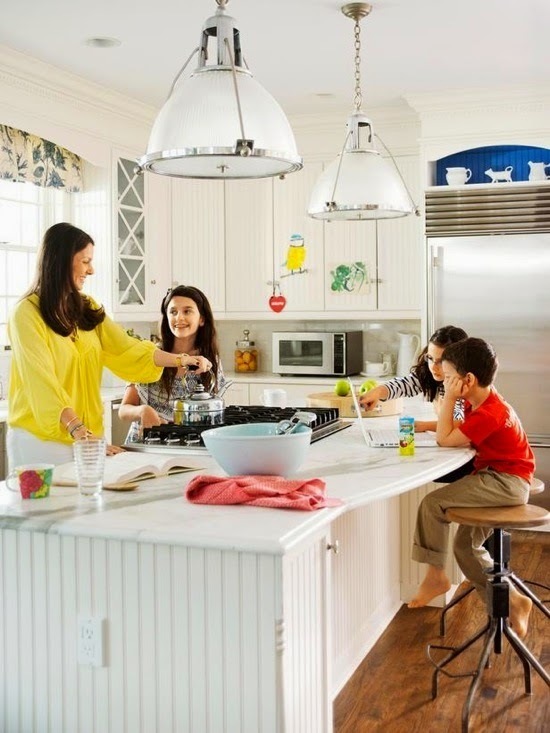 Sue, where are your pendant lights from (old kitchen)? TIA! Excited to see the completed project! I love all your "problems" and how you will magically "zhush" them away in leu of what makes your heart sing! A kitchen is such a hub so why not create it your way. It will be so awesome! I can see it now. The look of the new kitchen is amazing! I like your taste! Thanks for this great post! I have loved every glimpse I've seen from your new home and I am sure your kitchen will be fab (not that it isn't already) when you and Lauren are done working your magic! Cannot wait to see what you do. This list of participants is SO good! OMG, I'm so excited you have joined the ORC! I have been a huge admirer of you and your style forever so this is going to be so fun to watch! Love where you are headed…number one awesome change is going to be white, white, white and then new lighting. I drink tea all day long so a hot faucet…unbelievable! Can't wait to see more and welcome! Good luck with the move! So glad you are participating!! Both your kitchens are so pretty! Can you tell me the diameter of the pendants over your current island? (The ones you are keeping) Thank you! Hi Kristin, Thanks so much! The diameter is approx. 18"
I'm excited to see how your new kitchen transforms. The inspiration is lovely, and even better knowing you already loved it!